I left the house this morning thinking that what I was wearing was stylish, comfortable and warm (enough) … I was wrong. I tried it on again outside of the change room and immediately had a girl tell me that this was “so chic” as she put it- and bought it herself. When looking at your pictures I was thinking, “Is this Zara?” haha I suppose that means I shop there too often. 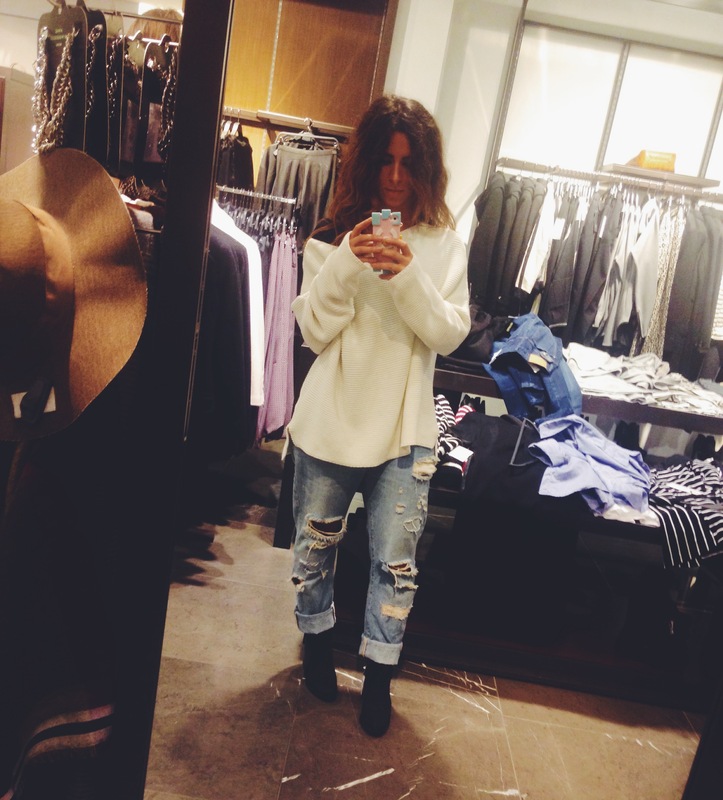 I love that sweater with the boyfriend jeans! Seriously such a cute, chic outfit.